Recently I have noticed a trend on social media sites such as Face Book and Twitter. This trend is disturbing and is distasteful. I am, of course, speaking of the latest fad, cop bashing. I, for one, am quite tired of it. I am tired of citizens who think they are experts on policing even though they have never spent one day on the street in uniform. I am tired of the nit-picking that is occurring, with regards to so-called police misconduct. I am tired of seeing heroic actions by police officers go unheeded while a single corrupt act by a single individual is newsworthy for days. I am most disturbed that members of my own extended family have jumped on this cop bashing bandwagon, disrespecting the honor of those family members who have served. I feel confident that for every negative story published I can counter with a thousand, if not a hundred thousand examples of honorable deeds performed by police officers around the country. I know that a lot of this attitude is born out of ignorance. I know that for the 42 plus years I have been associated with the profession I would routinely encounter individuals who seem to think they know police work better than the professional performing the job. I would not presume to tell any member of any profession how they should perform their job, but for some reason, many think they understand police work, what police work is about, and how to do the job. I am not clear where this comes from. I know that today’s police officer is a highly trained professional. They continuously receive in-service training to ensure they maintain high standards. Until an individual has receive this degree of training, until an individual has receive the experience associated with the job, I prefer they keep their opinions to themselves because until they do, they really don’t know what they are talking about. Police Officers are human. No matter how hard they train they are and will remain human. Thus they are subject to all the same weaknesses and temptations of all other humans. Considering the temptations constantly put before them, it is a small miracle that only a small percentage actually succumb to the temptation. And those who do succumb do so because they are human. When a police officer breaks the law, it is a big deal. Same circumstances in two professions would be treated completely different. If a police officer takes a few bucks off a corpse, as repugnant as that may sound, and is caught there will be news stories and scandal that will go on for days. However, if the hearse driver or morgue attendant does the same thing, little will be said of it. Sure they both may lose their jobs, as they very well should, but only the police officers actions will make headlines. There are those who say this is as it should be because police are held to a higher standard. But a higher standard not withstanding, there is still just a human being behind the badge. The impact of a disgraced police officer will have far-reaching consequences not only for the officer, but the officers family, the officers organization, and the officers community. Not so for members of other professions. Before you become a cop basher, I challenge you to take the time to educate yourself about the profession. There are avenues available other than watching cop shows on TV. Take advantage of the ride along program offered by many police agencies. Attend a citizen’s police academy. Read the available literature on the profession. Here is an idea, why not take the time to actually speak with a Police Officer and learn from them what being a police officer is all about. It is not surprising that a person who day in and day out sees the worst of humanity may lose sight of the higher standard and do something human. But you won’t know that until you know what they know, see what they see, and do what they do. And until you do, I prefer you keep your opinion to yourself. Let me be clear that this article is in no way meant to defend any police officer who commits any act that dishonors the profession. I have no tolerance for that type of behavior. I am very glad that the protocols are in place to weed out and remove such individuals. I realize for the most part, I am preaching to the choir. I am only hopeful that someone will read this and come away with a different point of view. Both sides are standing here seeing their own side and not really seeing the other. You, of course, know what it is to be a cop. The mundane hours with moments of shear terror. It is a roller coaster. Ross, John, Laura Lou and others see it from their own experiences, which, unfortunately, seem to have been negative. I have had both experiences. I remember being stopped and questioned for “suspicious activity” when I was younger because an officer saw me get out of my car, go up to get my friend from his apartment, then when we came down my friend ( a very long haired heavy metal guitarist) drove. When I asked, very politely, what was suspicious about it, I was told to shut my mouth. Later, the same cop decided to give me a parking ticket. I was parked on the side of the road after the posted do not park hours. When I pointed out the sign, I was told that I needed to be parked within the white line going along the side of the road, which would only have given me two feet, if that. 5 1/2 years ago, when my fiance “attempted” suicide in my apartment, even after seeing the marks on her arms and the chemical stew she had created to inhale, they told me there was “nothing they could do” but then the proceeded to question me because I seemed “excited”. Ya think? Their actions, ultimately did not help Traci and confounded my efforts to get custody of my daughter. I don’t know what they could have done to help her, but by treating me as a potential criminal, it gave her the ammunition she needed to do even more devious things. I realize, they probably thought they were helping an abused woman, but the evidence really wasn’t there. As Uncle Scott used to say, “If it don’t fit, force it.” This is what they did. I’ve been pulled over for speeding several times as well as for the occasional headlight or tail light. I haven’t been ticketed in years. One, because I haven’t been ticketed in years, but also, because I was courteous and didn’t start mouthing off. When I was in the Military Police, many of the guys were cops for their full time jobs. Some were really great and others thought they were John Wayne. The police have an uphill battle. Stories of corruption have been ubiquitous since the first police force. People have had bad experiences and that is what floats to the top. It’s also a difficult time. The climate is changing, people are getting uneasy. I don’t have answers, but thought I’d share some thoughts. Well said Tim. However, I am trying to encourage that people accentuate the positive. I believe far more good is done than is note and far less bad is done then is noted. It is the recent rash of negative that is bothering me. Thanks for your input and always feel free to disagree. I think that is what bothers me the most, also – why choose to promote the bad parts of life, or professions, when there is SO much good to celebrate in the world! If you buy a can of tomatoes at the super market and find a rat inside the can, you are likely going to hate the brand. It may be an anomaly, and 99.99% of the cans of tomatoes don’t have rats in them, but it still leaves you with that bad experience. Unfortunately, we are hard wired to remember the bad and not always the good. It’s a survival thing and has a lot to do with saber tooth tigers and our paleo ancestors. I do think, however, the bad cops should be held extra accountable for their actions. I don’t have an issue with them being let go for speeding, though. I get a lot of perks in my job, too. Having dabbled in the police arts a little, maybe I am just better at seeing both sides. Oh yeah, I meant to mention that it really is a public image thing. Cops are portrayed, very often, as just wanting the bust. Like if they get enough arrests they can trade in a stamp card for a new gun. Perhaps some positive marketing is needed? I totally agree with most of the positive points made about the majority of our Law Enforgement Officers ( LEOs) The Majority are good honest people looking to make a positive affect on the quality of life in our Towns, Cities and States. Some, if not all State Police Agencies are Paramilitary in conception and operation. That has been the way it is by design. Each entity having it’s own specialized teams for specific purpose. Community Emergency Response Teams (CERT ) , State Police Special Tactical Operations ( STOP) and Special Weapons and Tactics (SWAT ). The training, deployment and supervision of these teams is is intense and these groups are called out for very very specific missions. As a former Civillian / Media Liaison I’ve been privvy to some disturbing extreme stuations that have seen an increase in recent years. We are watching the Militirization of our Local police happen before out eyes. Surplus government Military equipment being ” donated” by the DOD for use by Police. While I can see the arguement being made for Urban areas to have such equipment on stand by ready for deployment I cannot see the reasoning for small town USA to have a fully armed Humvee and aresnal of automatic weaponry complete with helmets, flack jackets and jack boots. ” It’s hard to keep the George Zimmermans of the world out of the Police Academies without having Bazookas in the brochure. Once you start dressing and equiping people like an occupying Army, they start acting like one.” – Bill Maher https://www.youtube.com/watch?v=Bs9LNAI0nBc . It is through this evolution that I have witnessed the increase in the abuse of power and ” super cop” mentality. One has to ask has the definition of ” To Protect And Serve” been repurposed as well? We have to remember that simple, basic principle of Checks And Balances. Who is policing the Police? If we exercise our rights and respect the laws in place we should not have an inherent fear of the entity that was originally put in place to uphold and enforce the law. By definition, a Police Officer is a Peace Officer. Not a Soldier. From merriam-webster – A peace officer or law enforcement officer (LEO) in North America is any public-sector employee or agent whose duties primarily involve the enforcement of laws. Apologize for the typos. my Smaaaaht Phone needs coffee. I fully support the overall efforts of the police department and although I have not had many encounters I do have an overabundance of traffic stops for speeding, running red lights, driving with expired tags etc. In all but one encounter I was treated with the utmost courtesy and reminded to drive safely. 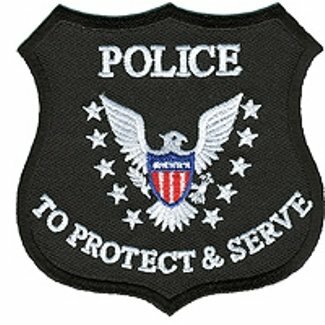 I think one of the problems that occurs is that when you personally know police officers and have grown up in a “police” family,it is very discouraging to see or hear about a “bad” cop. You almost take it personally as it taints the whole proffession unfairly. Tom, I think your comments about the humaness of police officer is a good reminder to everyone. While I do beleive that any one in a posistion of power by virtue of that power must be held to a higher standard as you said the human factor is always at work. I am glad that most officers lean to the positive side of humanity.